Click here if you haven't signed to Piano Playground, our free E-zine yet make sure you do that in order to get the username and password codes for the Bridge over Troubled Water Piano Tab I provide here under. 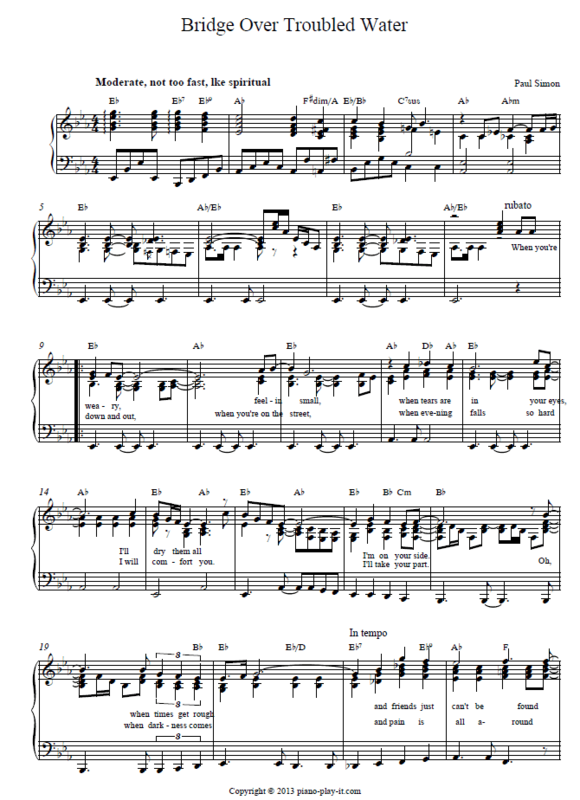 Here's the piano sheet of Bridge over troubled water. It is arranged exactly like I played at the beginning of the piano tutorial.